Bermuda is well known as a global center for financial services as the island operates the largest reinsurance market in the world. Now, Bermuda is aggressively diving into the fintech sector with two clear objectives: to promote the island as the jurisdiction of choice for fintech entrepreneurs and to establish its new regulatory framework as the universal standard for initial coin offerings (ICOs), digital assets and virtual currencies. By doing so, Bermuda’s Premier and Minister of Finance E. David Burt hopes to diversify Bermuda’s economy and encourage new development ― monetary, educational and cultural ― in the island. 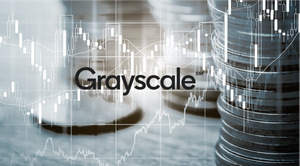 While some nations have inhibited the development of digital assets (e.g., China and South Korea), most others have not yet passed legislation germane to the asset class. Bermuda, in contrast, seeks to set the market, implementing a comprehensive and prudential regulatory framework designed to create a supportive business environment that fosters development. The government has collaborated with a partnership of regulators, external consultants and other private sector representatives to develop a best-in-class system that will serve as the standard for other jurisdictions (the Bermuda Standard). issuers of virtual currencies and operators of digital asset exchanges, as well as individuals who provide services related to digital assets, which are regulated under the new Digital Asset Business Act 2018 (DABA) and by the Bermuda Monetary Authority (BMA). Bermuda seeks to embrace the potential afforded by digital assets but not at the expense of tarnishing its pristine international finance reputation. The Blockchain Task Force, comprised of government, industry, legal and technology professionals, collectively drafted these bills to set reasonable and credible regulation. The task force has also issued additional regulations and guidance on critical topics, such as cyber security and prudential business standards. 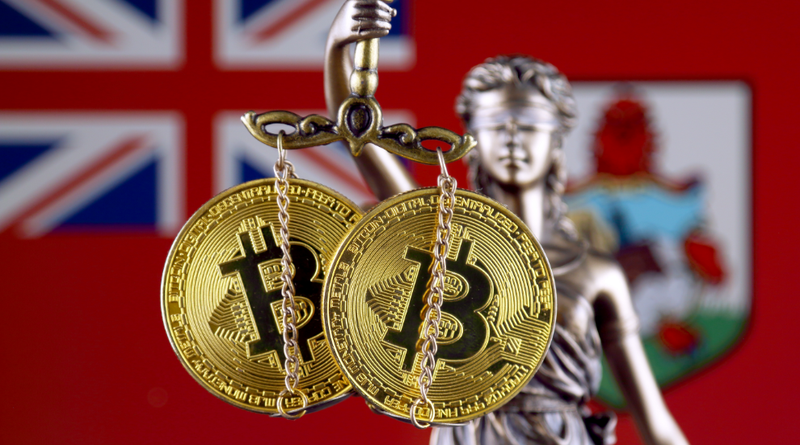 Bermuda recognizes that digital assets present significant risks that require robust anti-money laundering (AML) and anti-terrorism financing (ATF) regulations but believes that the ICO Act and DABA are suitable safeguards. ICOs are a “restricted activity” that requires the consent of the Minister of Finance prior to a public offering, which is a sale to more than 35 investors. The ICO Act is silent as to private sales to 35 investors or fewer. Assisted by the FinTech Advisory Committee, the Minister of Finance will review each proposed ICO to ensure that the issuer satisfies the base criteria that the issuer purports in its offering document, which often is the issuer’s white paper. Once consent is granted, the issuer must file its ICO offering document (subject to certain exemptions, including, but not limited to, if the digital assets are listed on an appointed stock or digital asset exchange) with the ROC. With respect to timing, the issuer should be able to incorporate within the typical 48-hour period using Bermuda’s standard incorporation procedures, assuming all know-your-customer (KYC), AML and ATF issues have been addressed from a due diligence perspective. However, because express consent from the Minister of Finance is a precondition to issuance, it is advisable that the issuer file its ICO offering document with the Minister of Finance as early as possible. The ICO Act requires that the offering document at minimum include certain information, such as a description of the project and its timeline with any proposed project phases and milestones, the amount of money equivalent (in Bermudian Dollars) to be raised and its allocation among purchasers of digital assets at each offering point, and any rights or restrictions on the digital assets to be offered. The ICO Act also requires that the offering document include a general risk warning and a statement as to how the prospective purchasers’ personal information will be used. Many provisions of the ICO Act are similar to the Bermuda statutes regulating initial public offerings. For example, the requirement to file the ICO offering document with the ROC and to submit updates of same to the ROC on a going-forward basis. The ICO Act also requires issuers to include a general risk statement identifying the potential ramifications to investors should the ICO fail. In addition, the ICO Act requires issuers to collect, verify and maintain investor identity information in accordance with AML and ATF laws. Finally, the ICO Act contains criminal offenses and imposes civil penalties of up to BD$250,000 for making materially untrue statements in the ICO offering document. 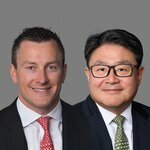 DABA, which was passed in June 2018, regulates “digital asset business” conducted in or from Bermuda. “Digital asset business” is defined as engaging in the business of providing to the general public any activities that fall within one of five specific categories: (1) issuing, selling or redeeming virtual coins, tokens or other forms of digital assets; (2) operating a payment service provider business that uses digital assets, including fund transfer services; (3) operating an electronic exchange; (4) providing custodial wallet services; or (5) operating a digital asset services vendor. To be clear, companies issuing ICOs as a funding mechanism for their own business are not regulated under DABA, as such activities are within the scope of the ICO Act. However, companies that issue ICOs for others will be regulated under DABA. Class F – The applicant shall be licensed to provide any or all of the digital asset business activities. Class M – The applicant shall be licensed to provide any or all of the digital asset business activities for a defined period determined by the BMA, which may be extended upon application to the BMA. The Class F license is a full digital asset business license, whereas the Class M license is a “sandbox” license that allows startups to experiment with new products or services for a limited period of time. The tiered licensing scheme bolsters Bermuda’s initiative to create a supportive business environment that attracts fintech innovation to the island while simultaneously ensuring customer protection. The BMA may impose limitations as necessary with respect to the nature and scale of the business permitted under either license, which can include limits on the scope of the digital asset business activity or the manner of operating the digital asset business. When applying for either the Class F or Class M license, an applicant must submit certain information to the BMA, including the applicant’s business plan that states the nature and scale of the digital asset business, its management arrangements, and its policies to assure compliance with Bermuda’s AML and ATF laws. The BMA has authority to demand additional information as may be reasonably required to determine the application. This year, Bermuda will adopt additional regulations and issue further guidance to support the development of digital assets and its broader fintech initiative. These endeavors should solidify the island as the jurisdiction of choice for international fintech entrepreneurs and confirm the Bermuda Standard as best-in-class. Earlier this month, the government of Bermuda announced that it intends to introduce a new class of bank to encourage the development of the fintech industry. A proposed amendment to the Banks and Deposit Companies Act 1999 will allow for the formation of “Restricted Banks” that reportedly can better serve the fintech sector. The amendment will outline categories of business that Restricted Banks may serve and include a provision that allows for future amendments as fintech evolves. This summer Bermuda will launch a national electronic identification ledger (E-ID) using blockchain technology. E-ID will provide a single platform that licensees can use to efficiently comply with KYC, AML and ATF rules. E-ID is designed to comply with international rules and regulations, such as the Personal Information Protection Act in Bermuda and the General Data Protection Regulation in Europe. E-ID will also enable individuals to control third-party access to their data by allowing them to grant permissions for specific data for a defined period of time. In addition, the use of the blockchain should provide increased efficiencies through the elimination of duplicative efforts, the aggregation of verified data and instant customer authentication. Bermuda’s Blockchain Task Force has announced that, later this year, it will establish a legal and regulatory framework for virtual currency exchanges. Reportedly, this initiative is scheduled to become operative in September 2018. News of Bermuda’s business-friendly regulatory environment is spreading quickly, and, not surprisingly, fintech companies are moving to the island. In April 2018, the Burt signed a memorandum of understanding (MOU) with Binance Group, operator of the world’s largest cryptocurrency exchange and leader in digital exchange development and fintech, with a market capitalization of $1.3 billion. In May, the premier signed a MOU with Shyft Network Inc., which provides blockchain-based identification solutions for KYC and AML-compliant data transfers. In June, the premier signed an MOU establishing a strategic partnership with interests from the Republic of Korea. The MOU involves B-Seed Partners (Republic of Korea), FinHigh Capital (United States) and BFS Holdings Ltd. (Bermuda), as partners in a new Bermudian joint venture, Bermuda FinTech Accelerator (BFA). BFA plans to deploy a developed pipeline of fully-funded fintech projects, including token sales and cutting-edge fintech technology that is not yet available on the Island, which will benefit the community through efficiencies, the creation of jobs and educational opportunities. Also in June, Arbitrade Ltd. announced its intent to establish its global headquarters in Bermuda with plans to launch its own ICO and digital asset exchange in August or September 2018. Having been a part in some of these initiatives leading to the MOUs, we agree that, at the moment, Bermuda provides an attractive alternative to other jurisdictions where ICOs are allowed and accepted. Whether or not Bermuda will become a leading jurisdiction will depend, in part, on the rate and volume of ICOs, the establishment of digital asset exchanges to create liquidity, the development of digital asset management businesses, the extent to which digital assets are linked to fiat, and, ultimately, the expansion of digital banking. This is a guest post by Huhnsik Chung and Nicholas Secara. Views expressed are their own and do not necessarily reflect those of Bitcoin Magazine or BTC Media.